We try to sort out what exactly are the Top 10 Cards of Ravnica Allegiance. Agree? Disagree? What did we miss? Note: I'm coming at this from a Diamond ranked perspective. I'd love to hear your perspectives (from both higher and lower ranked players). Let's have some fun and attempt the impossible by putting together a Top 10 Cards from Magic the Gathering Arena: Ravnica Allegiance. As much fun as putting this together is, the discussion that will surround it will be even better. There is absolutely no way that any Top 10 list will make everyone happy, so let's hash it out (civilly) and do the best that we can do. Cheap removal insurance that can be used offensively. She works in both aggro decks and aristocrat decks. If your opponent chooses to block and kill your small attacking creatures you still do damage. It forces your opponent to make tough decisions and that as we all know is the key to winning. Board wipe? You get to smash your opponent in the face. 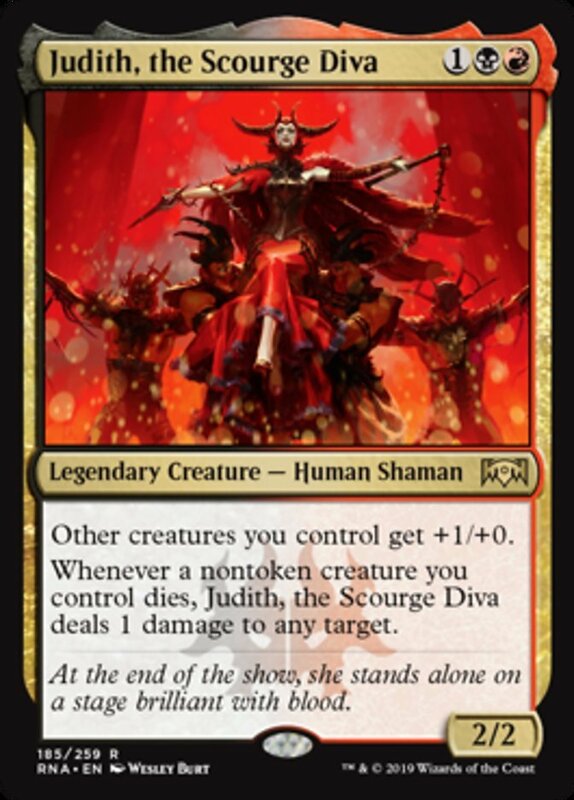 She is generally a must remove card and for such a small mana cost that is incredible. There is an argument that this card should be even higher on the list, but for now I feel she is #10. 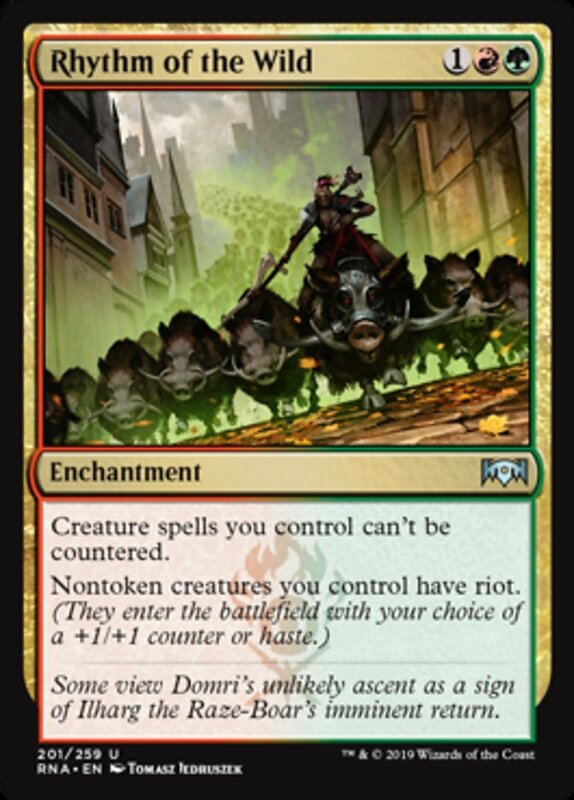 Nontoken creatures you control have riot. This is amazing. Who isn't tired of playing versus RDW at the moment? 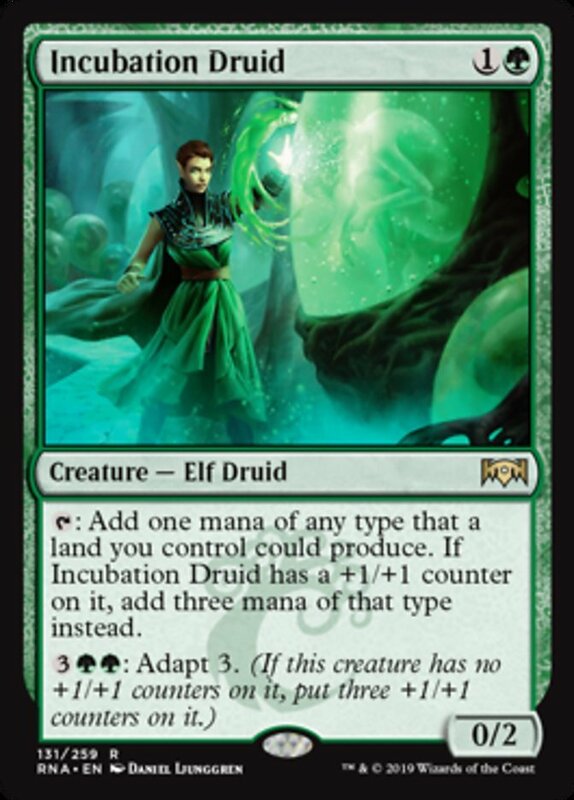 Add to that "Creature spells you control can't be countered" and you have what is in my opinion a Top 10 card. This is a great card whether you are playing BO1 or BO3 with it in the sideboard. Similar to Doomed Traveller, this card offers a lot for a little. 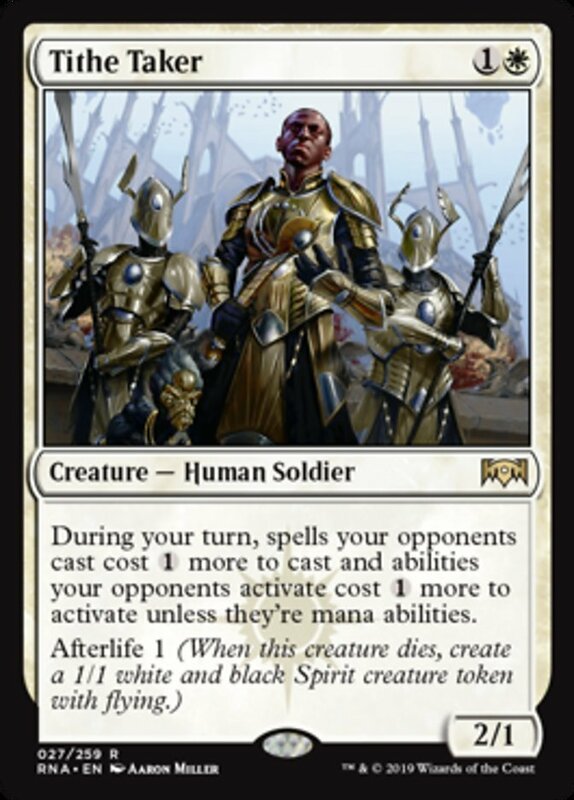 Can be used in Boros, White Weenies, Selesneya, Angel Generator / Spirits and many other decks. It's an annoying early game card that remains annoying right through the mid-game. If it isn't removed it provides chip damage and if it is then they have used up resources on a 2-drop card that they probably would have rather saved. Then you get Afterlife, which makes their sweepers less effective. A fantastic card and it's a 2-drop. A lot of explanation probably isn't required here. Untapping all your lands is just good no matter how you look at it. Control decks will love this. For them, having mana open in your opponent's turn is a necessity. It's also an uncommon... yes an uncommon. 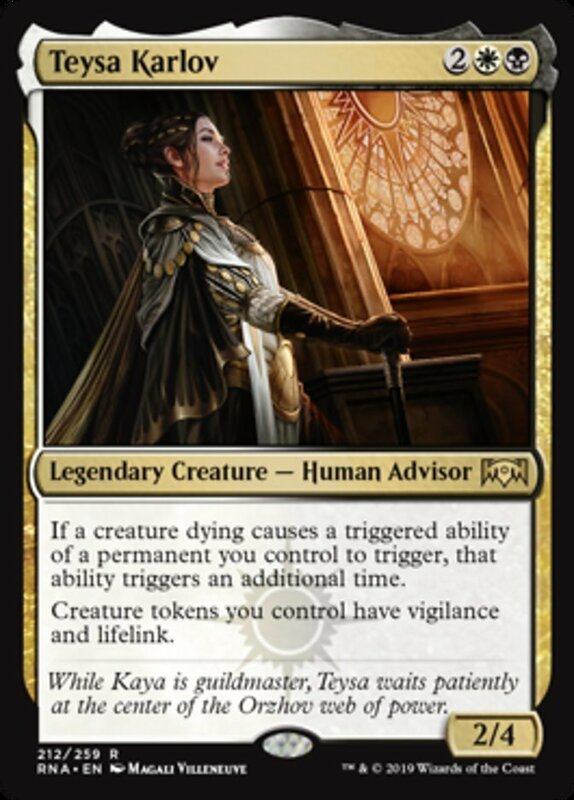 As much as I don't enjoy playing control myself this is a fantastic card for those of you that do. Bant Turbo Fog players rejoice. 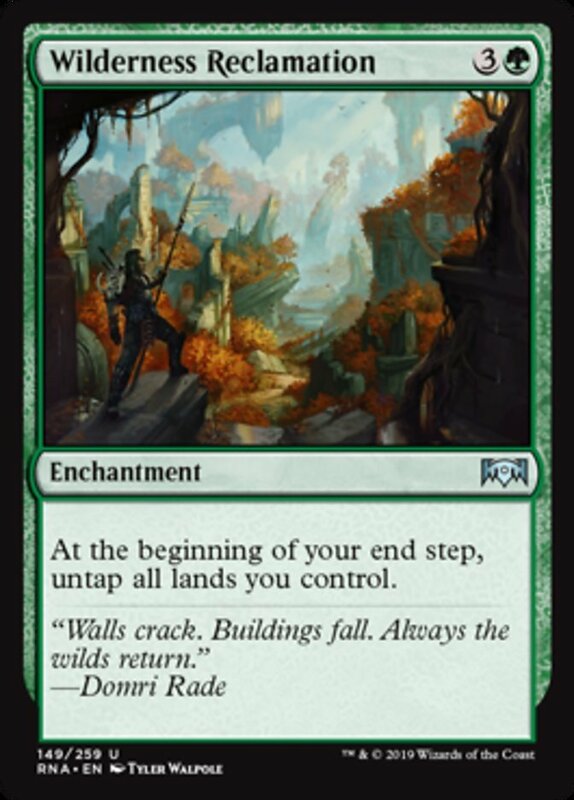 Wilderness Reclamation + Nexus of Fate. Argh. This should be one of the most impactful cards in the set. This card is a common, so relatively easy to get in Arena. 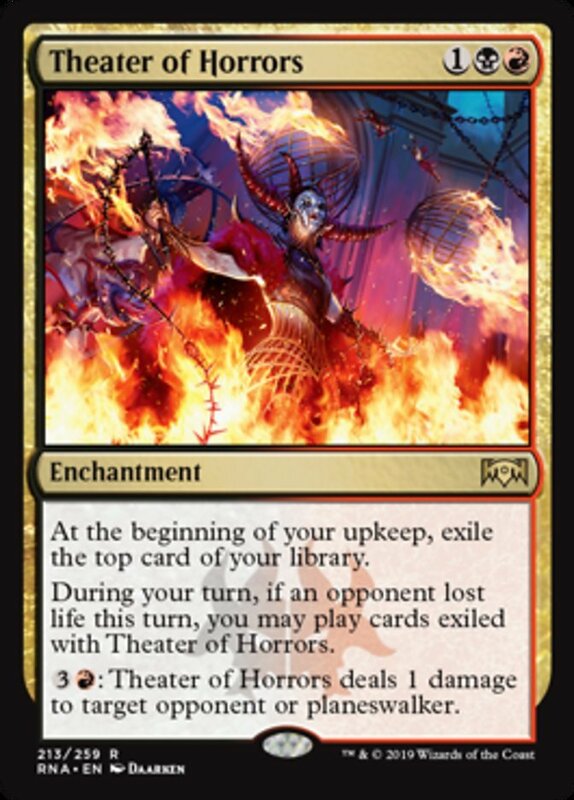 Playable in Gruul and Rakdos as well as pure Red burn decks. Not much more to say on this straight-forward, yet impressive card. Triggered abilities go off twice. This affects Afterlife. Then those tokens have vigilance and lifelink. Powerful. Slower than Experimental Frenzy, but wow is this powerful in it's own way. You can essentially have two hands to play and once you have exiled multiple cards you have choices, unlike Frenzy where you play the top card. Different, not necessarily better, but still powerful. Super solid 4-drop 4/4 that only gets bigger and meaner. With spectacle it becomes a 3-drop. 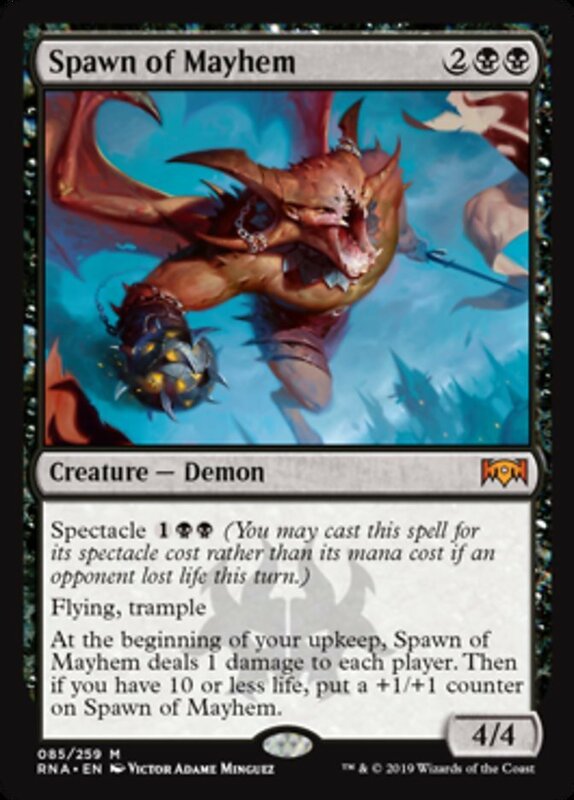 Oh, and it has trample. It is succeptable to Lava Coil, but if also means they are down one LC if they use it on this bad boy. 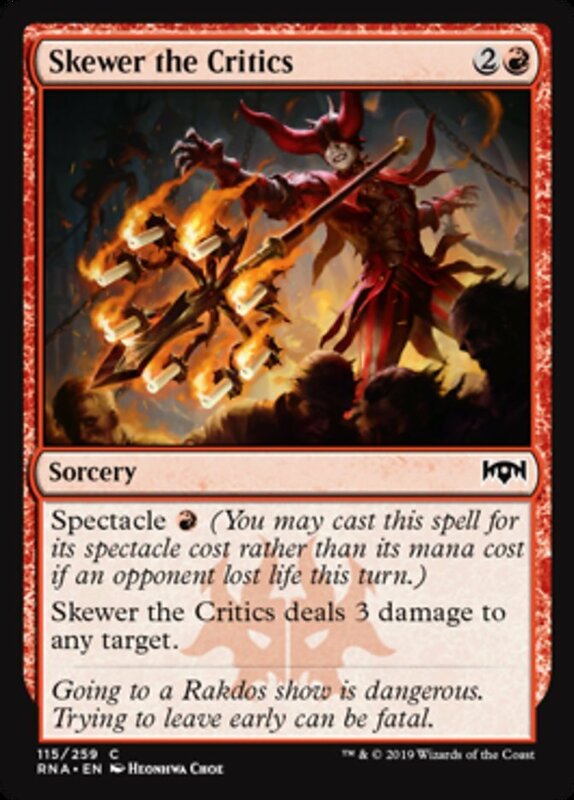 Rakdos players have to be pumped about this card. 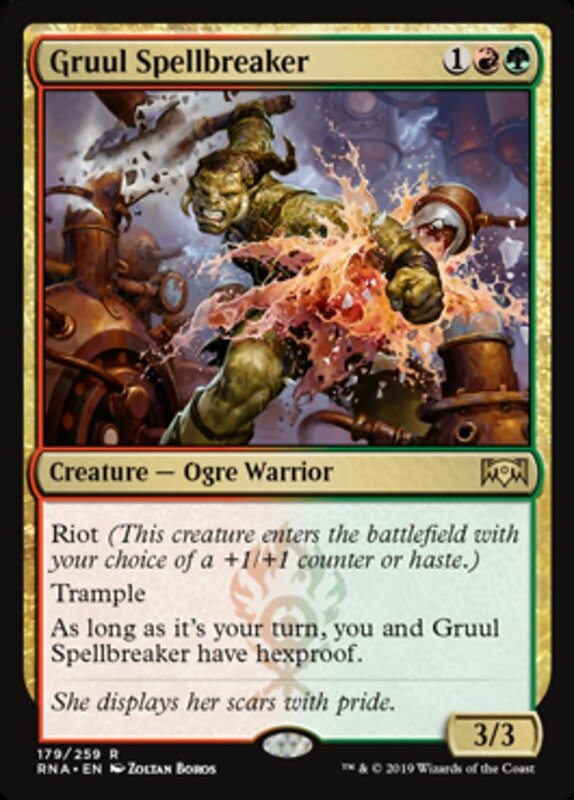 Protecting both the player and Gruul on your turn (Hexproof) is amazingly powerful. 3-drop that with counters is 4/4.